There are many potential underlying reasons for a cough. A short-term cough lasts for 3 weeks or less. Colds and flu are some of the more common causes for these short-term coughs. Symptoms resolve on their own within days to weeks. Irritants like dust in your throat may make you cough. Postnasal drip from allergies can do it, too. Certain more serious medical conditions and medical side effects may also cause coughing. Regardless of what is making you cough, there are many remedies to help you feel better. If you have a cough, there are several home remedies that can help ease your symptoms. Drink lots of fluids to thin mucus and make it easier for you to clear it out of your system. Use a vaporizer or cool-mist humidifier to soothe an irritated throat. There is some evidence that honey decreases the frequency and severity of a cough without side effects. Have some tea with honey before bed to ease your cough. Honey should not be given to young children under the age of 12 months because there is a risk that the baby could be sickened by botulism. Other home remedies that may be effective include gargling with salt water or sipping on hot water with lemon juice. Add fresh ginger to boiling water. Let the mixture cool and add honey before sipping to soothe a cough or a sore throat. To make another remedy, add turmeric powder and black pepper to boiling water. Allow the drink to cool before sipping. Turmeric with black pepper is reportedly a good at-home, anti-viral cold remedy. 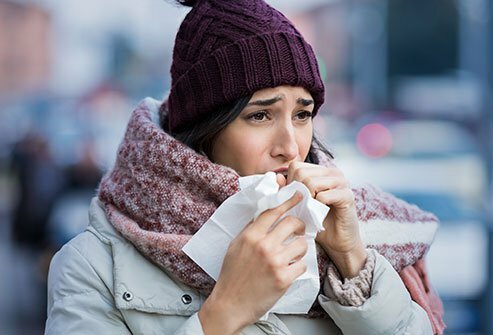 If your cough is caused by a cold, take extra vitamin C during cold and flu season to reduce the duration and severity of cold symptoms. Vitamin C boosts the immune system. Chicken soup is an excellent home remedy that has several anti-inflammatory properties to ease cough and cold symptoms. If you have a "wet" cough, otherwise known as a productive cough, try taking an over-the-counter expectorant medication to help you expel mucus. Expectorants are not appropriate for every type of cough. 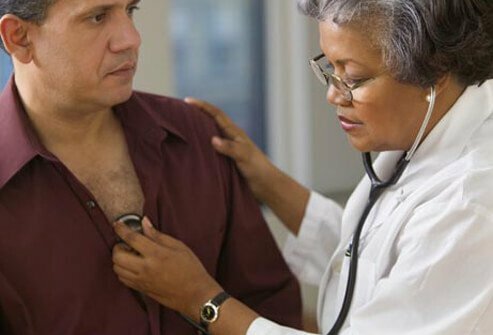 If you have emphysema, chronic bronchitis, pneumonia, or asthma, do not take an expectorant. Ask your doctor which type of over-the-counter cough medicine is right for you. Children under the age of 4 years old should not take cough and cold medicines. Check with your child's pediatrician before administering any remedy to your little one. Sometimes you want to suppress a cough if it is caused by breathing in irritants like smoke, dust, or allergic particles. This kind of cough result when you have an annoying tickle in the back of your throat. Over-the-counter cough suppressants can help suppress the urge to cough. Another name for cough suppressants is antitussives. Cough suppressants may be available as either a liquid or as a cough drop. 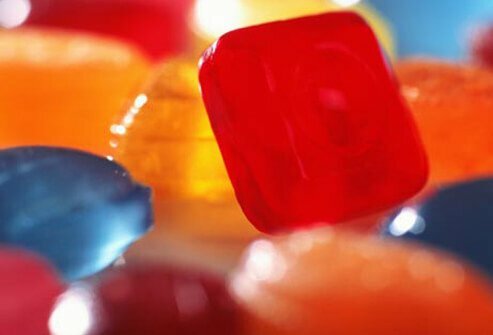 Cough drops are a choking hazard for young children under the age of 4. Do not give cough drops to young children. Ask your child's pediatrician what kind of remedy is safe to use. VapoRub is a topical cough suppressant with medicated vapors that may be appropriate for children ages 2 and up. 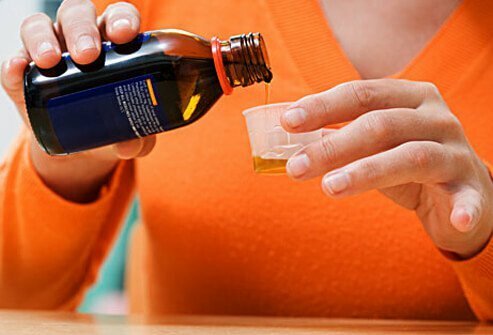 Cough medicine should never be given to children under the age of 4 because it may be associated with serious side effects, or even death. Some cough and cold medications may be used in children between the ages of 4 and 6, but talk to your child's pediatrician first. 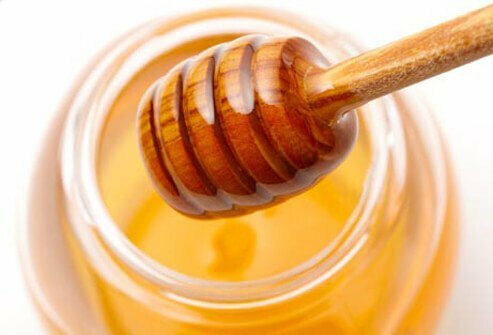 For young children who cannot have cough syrup, give them 1/2 to 1 teaspoon of honey in some warm water to help soothe a bad cough (however, do not give honey to children under 1 year of age due to potential for botulism). Honey may provide instant relief as a natural cough remedy. Are Antibiotics Appropriate for a Cough? Antibiotics treat bacterial infections, so they are not cough remedies. Antibiotics are not effective for treating coughs that are caused by cold or flu viruses. These kinds of coughs usually resolve in about a week if an underlying viral infection is causing the cough. If you are still coughing after one week, see your doctor. You may have a bacterial infection, like a sinus infection or pneumonia, that is causing your cough. In these cases, an antibiotic can help alleviate your symptoms. Sometimes the doctor will send a sputum sample away for laboratory analysis to identify the bacterium to prescribe the most effective antibiotic. Allergies can lead to itchy and watery eyes, postnasal drip, coughing, and other symptoms. Taking an over-the-counter antihistamine may help relieve your symptoms and dry out nasal passages so you cough less. Look for non-drowsy versions of allergy medication so you can still function during the day. Asthma is another condition that may be associated with coughing. Asthma is serious so see your doctor if you are wheezing for prescription medications to control your condition and minimize coughing. Take allergy and asthma remedies and medications regularly to keep your symptoms at bay. People who smoke develop a characteristic cough that may be worse in the morning. Smoking damages small brush-like projections called cilia that line the airways. They help remove mucus and dirt from your respiratory tract. When cilia are damaged, they cannot remove debris and you will cough. Smoking also irritates airways and may lead to inflammation and bronchitis. Another potential cause of coughing in smokers is cancer. See your doctor if you develop a new or unusual cough. 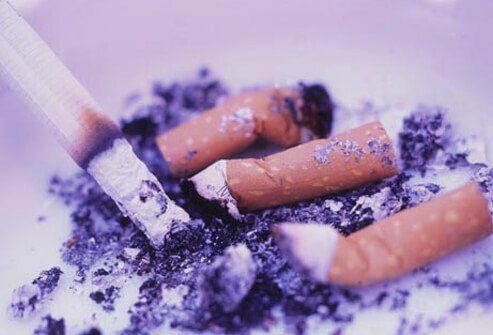 If you quit smoking for a month, you should cough significantly less. If your cough does not go away or worsens, see your doctor. Smoking may also cause a sore throat and is one of the leading risk factors for developing lung cancer. Coughs that last for more than 8 weeks are chronic coughs. Allergies and postnasal drip are potential underlying reasons for a chronic cough. Infections of the lower parts of the respiratory tract like the airways (bronchitis) and lungs (pneumonia) may also cause this type of cough. 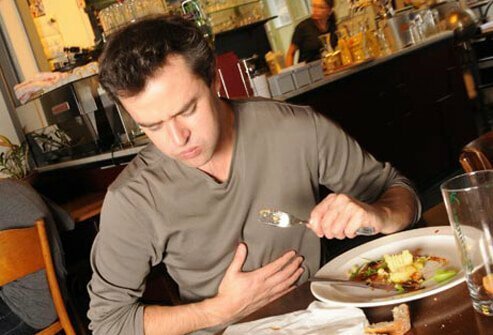 GERD (gastroesophageal reflux disease) and medication side effects may also cause coughing. Sometimes, coughing is a symptom of a more serious underlying condition like a blood clot in the lungs (pulmonary embolism), asthma, chronic obstructive pulmonary disease (COPD), lung cancer, or heart failure. You have a deep, wet cough that produces lots of mucus and phlegm. If you are wheezing or have shortness of breath, these may be symptoms of asthma or another serious condition. If you have a fever that does not go away after a 3 day period. If your cough lasts for more than 7 days without getting better, see the doctor. If you cough so much at night that you cannot sleep, go see your doctor. If you have chills in addition to your cough, see your physician. If you have blood-tinged phlegm when you cough. American Lung Association: “Cough Symptoms, Causes and Risk Factors," "Living with Cough."